Servite High School prepares its students for success both in college and in life. 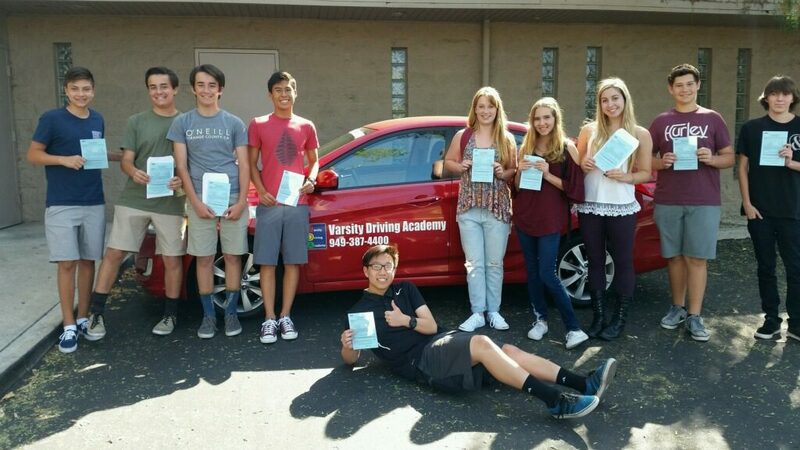 Like Servite High Shcool, Varsity Driving School prepares students for success on the road. Our goal is to teach students not only how to pass their license test but to stay as safe as possible while behind the wheel. Using upgraded teaching methods, we’re determined for success with each and every one of our students. Take a look below at some of our services and our approach to teaching and then sign-up today! Welcome to Varsity Driving Academy Servite High School Driving School! Servite High School students can take full advantage of our free pick-up and drop-off service for every behind the wheel training session. Students have two options to learning, either in a classroom or online. Our online driver’s education program is designed with a student’s busy lifestyle in mind. One registered for classes, students can create a username and password and then get started learning immediately. When life comes calling, students can log out, and return when they have time. When students return, their progress has been saved, so they can start off where they finished before. Our online classes teach the basics of driving like driving laws, and tips on driving. Our goal during this step is to set students up for success and help them pass their permit test with ease. Once students pass their permit test, we will validate it during our first behind the wheel training session, and get started on the next step. Our behind the wheel training sessions are designed for success and safety. Each of our training vehicles are inspected regularly to ensure their safety. Once in the vehicle, students will realize they are the only student in the vehicle. We feel that one on one training helps students feel more confident in asking questions, making mistakes, and learning how to drive defensively. Defensive driving is the best way to remain as safe as possible while on the road. We train our students not only to follow the law but to drive defensively in almost every situation. Our trainers have undergone their own form of taining and have been certified to teach students how to drive safely and responsibly. Varsity Driving Academy offers many different packages and add-ons that help each student get the training they need to succeed. One of our most popular packages is our DMV package. Students who choose our DMV package get a little more from our trainers and staff. We will deal with the DMV as a representative of the student. By representing our students at the DMV, we can make appointments, gather paperwork, and relieve some of the stress that comes along with each of those steps. The goal of the DMV package is to let students focus on learning how to drive, not wait on hold with the DMV. Please contact us for more information regarding our utilities at (949) 387-4400.